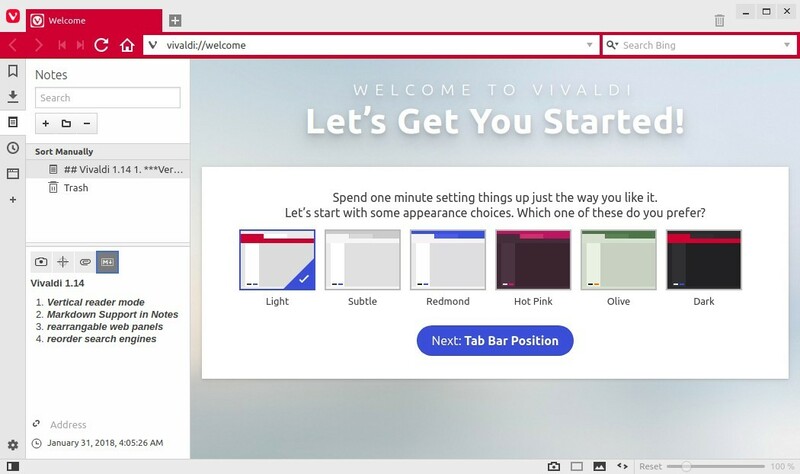 The Vivaldi web browser reached the new stable 1.14 release earlier today. Vertical reader mode for users of Chinese, Japanese and Korean languages. Add the ability to customize the order of the Web Panels in the sidebar. Also various bug-fixes. See release note for details. NOTE that for those prefer upgrading Vivaldi from its official apt repository, Vivaldi 1.14 is held back due to a proprietary media support issue, read HERE for details.